Do you dream of having young and fresh face along with plump lips, shallow contours, no wrinkles or facial creases, and then you must choose soft tissue fillers. The popularity of Soft tissue fillers has been increasing leaps and bounds in recent years. People opt for soft tissue fillers to rejuvenate their face too. The reason for this elevating popularity is due to many factors but mainly because it is of minimally invasive nature. It can fill the lines in the face and restore lost volume in the cheeks, chin, and jawline and around the mouth too. Accentuates your facial features by bestowing youthful radiance to the face at the same time maintaining the natural appearance of the face. How long will these fillers last? The lasting periods of these fillers entirely depends on the choice of the material to be used as well as the location where it is injected. Anybody who does not want to go for a surgical face-lift yet, wants to get a smoother, younger appearance. This treatment will not help you with sagging or excess skin however it can add volume to the areas that are hollow and create more resiliency besides smoothing of wrinkles. What are these soft tissue fillers made of? Temporary (absorbable) fillers are made of a range of FDA-approved materials that includes human fat, purified collagens as well as hyaluronic acids. Post six months or more, these materials absorb safely into the body, and you can go for the next treatment to maintain your smoother, youthful look. There are several types of soft tissue fillers that are made from different materials, for instance, hyaluronic acid and collagen. The soft tissue fillers procedure is quick and painless. Discuss with your doctor about your concerns and once that happens you can go ahead with the procedure. The surgeon will mark the areas to be injected, sterilize the area and then a topical anesthetic will be applied. 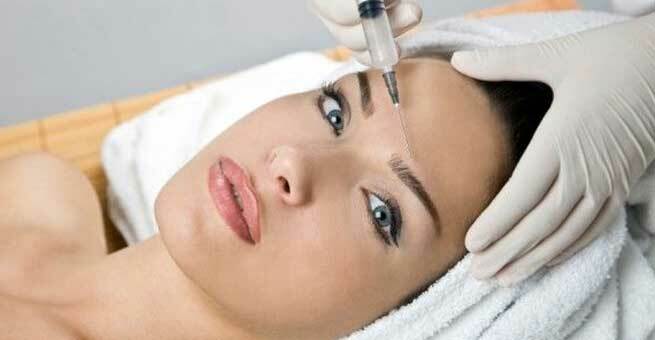 The injections will be injected into the deep layers of the skin or immediate beneath of the skin. Each injection will just take a few seconds to be applied. It will not take more than a few minutes for all the injections to be injected. Post the procedure you will be provided ice packs to help you deal with the temporary discomfort. You can leave the place after that. Soft tissue fillers are a treatment that is done quickly and post the treatment, you will feel and look good. Post the treatment you can get back to your usual routine. Make sure you do not rub or press the area for 24 hours or else you will end up shifting the filler to other areas of the face. With the soft tissue filler treatment, you can see the result almost immediately. The fillers provide great results depending on your requirement, be it plumping the lips or getting rid of the wrinkles or softening the facial lines. Fillers can are great to improve the appearance of recessed scars too. The cost of the soft tissue fillers entirely depends on the type or brand of filler and the amount of filler used to achieve the desired results. The costlier the filler is, the longer the result will last.